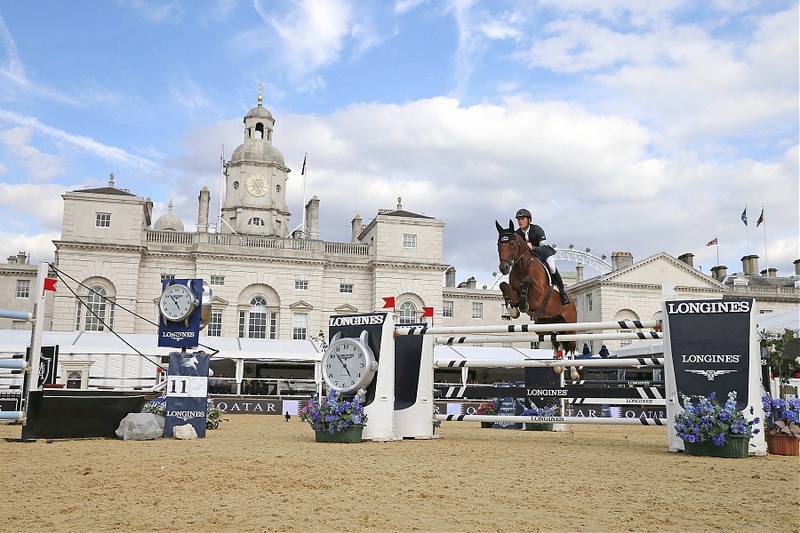 Great Britain's World No1 and 2013 Champion Scott Brash won the London leg of the Longines Global Champions Tour in front of a sell out arena at Horse Guards Parade Ground in St James's Park on Saturday. The rapturous home crowd would have raised the roof of Horse Guards Parade Ground if there had been one as he took the spoils in spectacular fashion. From the very beginning, Brash was hailed as the one to beat and he never faltered. With three LGCT Gold medals and a Bronze under his belt so far this year, the Scotsman is well on his way to defending his Championship title for a second consecutive year. Crowds packed into Horse Guards Parade Ground for the three day event to watch the very best international show jumping in the world. The elegant VIP Hospitality suite was buzzing with the glamorous show jumping crowd who enjoyed a rare coming together of the world's Top 18 riders for one of the biggest and highly anticipated events of the show jumping calendar. The riders now head to Lausanne, 12-14 September, which will see the pressure rise again as the final in Doha approaches fast. Early in the season Brash voiced his intention to defend his LGCT title this year and he seems to be executing his plan of attack perfectly.